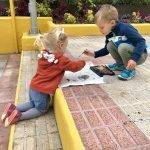 A year ago I wrote this review of the Stokke Xplory stroller and after one more year of using it (and washing it), today I’d like to update it. We still love it. We love the minimalist design, the coolness, the drivability, the adjustable heights of seat and handle (Oliver sometimes likes pushing it himself), its lightness and its super easy mechanism to fold it and put it in the car. Yesterday in a shop a mum-to-be was about to buy exactly the same pram, and asked for our opinion. I told her this: between the Stokke models, this is definitely the one I’d choose again; between all the strollers I’ve seen so far (live), this is most likely still the one I’d choose. There are just a few details that drive me absolutely crazy, probably just because I can’t wrap my head around how such a high quality brand like Stokke—quality that you can see in the design and the structure of their products—can overlook such obvious details. It makes me wonder if they actually use their products. So these are the details I’d like Stokke to improve (hoping they will in the next version) and I’ll list them from the least annoying to the most annoying (just for fun ;-). In the end, we bought some universal hooks and we’ve been very happy with them: they’re very resistant and the velcro is extra strong (if you don’t drop it in a pool like I did once). You can’t conveniently switch the pram around (from forward facing to facing you, and viceversa) because the foot rest is always in the way. I wish they fixed this in the next version, because it’s actually a feature I do use quite a lot. Also, I wish the hook that you pull up with your hand to fold the pram were enough, and you didn’t also need to use your foot. The foot lever often gets jammed, even when you know the trick. There’s no solution for young siblings. 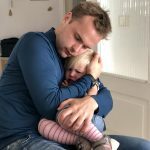 Of course, when you buy a pram for your first child, this is the last of your worries, but now that our little girl is on her way, we don’t know what to do. The Stokke Crusi offers the possibility of adding an extra sibling seat, which is not ideal as the baby’s extremely low, but it’s a solution. The Xplory doesn’t offer that possibility: they only have a skateboard where the older sibling can stand on, but I feel that Oliver (21 months difference) is still too young for that—especially for our long daily walks. UPDATE: We ended up choosing the Kleine Dreumes board with seat, but as soon as Oliver was big enough, we switched to the Stokke Sibling Board which I find very convenient (we never take it off and Oliver can even sit on it with his legs crossed!). I’d love to be able to open the front bar sideways or upwards instead of having to remove it completely. I usually need to remove it when we’re sitting at a restaurant as I don’t want it to get dirty, or if Oliver has fallen asleep and I want to put him in (or take him out of) the stroller: in both these scenarios, it’d be much easier if I could simply open the bar instead of removing it completely and having to find a place where to put it temporarily. The front bag (the one that comes with the pram) is aesthetically beautiful, but it’s indeed the most annoying detail, and I’m sure anybody who uses it in their daily life with their children would agree. When you use the cot or seat facing you, the bag and zipper are hard to reach, but it’s ok. When you turn the seat around so that the child is forward facing, though, it’s very annoying: to begin with, I feel like the zipper is on the wrong side (I’d almost like to be able to turn the bag around or definitely have the zipper towards the outside). The foot rest in the highest setting is in the way and makes it difficult to open the bag, so just imagine when you have the footrest in the lowest setting (like Oliver’s using it now): it’s very difficult to access the content of the bag, thus making the bag itself completely useless—maybe that’s why I see so many people not using it at all? A pretty clip-on open basket (included in the price, of course) might be a great alternative, it would be much more accessible and practical, without taking from the beauty and elegance of the design. 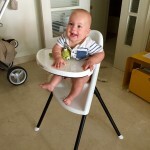 Do you have a Stokke Xplory too? Do you like it? Would you change anything? If we could go back, we would most likely choose a different color, probably the black melange. I love the elegant, classy beige gets dirty VERY quickly. The good news is, after the first time you wash it (which is a bit difficult as the fabric is super tight to take off and out back on) the fabric gives in a bit and washing it really isn’t a big deal (and it dries extremely quickly). Ciao! Grazie per le tue recensioni. 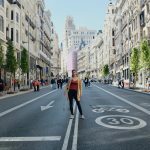 Mi sto documentando sui passeggini e questo Stokke sembra molto interessante. Per quanto riguarda la pedana con seduta l’hai poi trovata e se sì potrei sapere quale? Ciao Lilli! 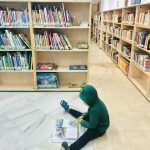 Noi abbiamo provato la pedana con seduta Kid-Sit di Kleine Dreumes di cui scriverò presto una recensione, ma alla fine per comodità di mettere e togliere il passeggino in macchina, abbiamo optato per continuare con la Sibling Board di Stokke, che è quella che stiamo usando ora per Oliver. Ho un video pronto, dove puoi vedere che non ci si inciampa. 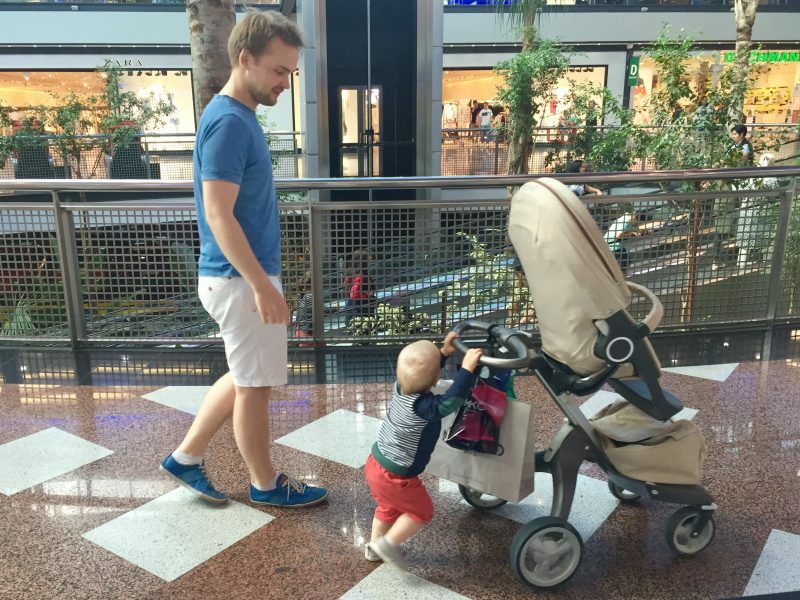 È leggermente più scomodo camminare, è vero, ma visto che lo Stokke Xplory si guida con un dito, non è un problema. Non vedo l’ora di leggere la recensione e vedere il video allora. 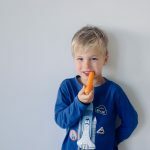 While looking for another car seat for monkey number two, I realised I've never written about our current car seat, which we've been super happy with since day one. 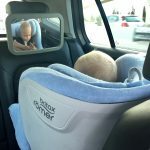 It's the DUALFIX rearward/forward facing by Britax Römer. Oggi voglio condividere con voi un prodotto che è per me fondamentale in ogni casa, ma a maggior ragione se si scegli l'autosvezzamento: il seggiolone. E in particolare il nostro seggiolone che ci piace moltissimo ed è perfetto per contenere il caos dei primi mesi di autosvezzameto. 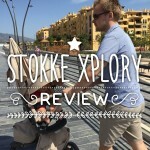 We've been using the Stokke Xplory for six months now and we've been very happy with it! It's great quality, light enough, practical and very resistant. But even so, there are a few things I'd like to change/improve—as my husband would say, anything can be improved!—so here's my pros and cons.